Public education in North Carolina has its share of challenges, not the least of which has been the state’s ongoing failure to make sure that school systems in poorer communities receive the financial support they need. But in one major respect, the pattern by which most of our school districts are organized helps them serve all their students, no matter their circumstances. The pattern is consolidation – larger districts serving families from across the economic spectrum. In the best of cases, a commitment to socioeconomic diversity also promotes racial diversity. Wake County may offer the best example of how consolidation has been a smart approach. In the mid-1970s, a school district covering the City of Raleigh was on its way to becoming a typical inner-city system dragged down by poverty and discrimination. Schools in the outlying county system and their communities were becoming magnets for white flight. Farsighted local leaders who recognized this as a formula for civic decay overcame stiff opposition to bring about a merger of the two systems. That allowed Wake over the ensuing decades to pursue and largely attain a goal of having good-quality schools accessible to each and every child – a huge benefit both to the students themselves and to the county economically as the schools became an engine of growth. As that growth accelerated, however, pressure arose in the county’s suburbs to emphasize “neighborhood schools.” Some parents disliked what they saw as too-frequent reassignments of their kids to schools far from home. And they weren’t eager to see students from poorer backgrounds, many of them minorities, brought into the suburban schools – despite the evidence that leaving those students in schools where poverty is a common denominator stacks the academic odds against them. Some suburban politicians in Wake and in Mecklenburg County – where the Charlotte-Mecklenburg system is the state’s second-largest after Wake – picked up on that dissatisfaction. And an undercurrent of grumbling finally led to a push in the General Assembly toward school district breakup. Now for the good news: With legislators set to reconvene in mid-May, a joint House-Senate panel  that has been studying the issue and that could have urged immediate action has instead called for – you guessed it – further study. Sometimes “more study” is code for “We don’t yet have the votes.” And a committee co-chair, Republican Rep. Bill Brawley of Mecklenburg, isn’t exactly throwing in the towel. 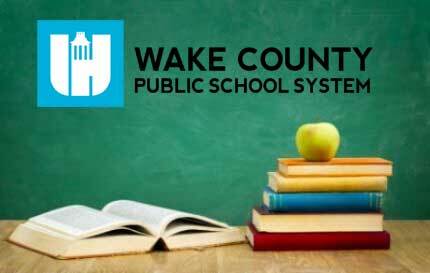 “It did not seem that we could do a responsible procedure to break up a school system within the time frame we had,” he told The News & Observer of Raleigh. Still, the panel’s report , approved on April 11, amounts to a cautionary tale. It includes some thoughtful assessments of the ramifications of letting large school districts devolve into smaller ones. If legislators who first broached the issue had hoped for a ringing endorsement of district division, what they got was closer to a nothing-burger. Breakup proponents clearly thought they could move the needle if it could be shown that students do better in smaller districts. But while the evidence showed that smaller schools tend to foster student success more effectively than larger ones (in fact, there seems to be a medium-sized sweet spot), district size didn’t seem to have a bearing on students’ academic performance. Small districts can have large schools and vice versa. When the study committee was authorized last summer, virtually all the supporters were members of the Republican majorities in the House and Senate. Democratic legislators, many of whom represent urban districts with sizable minority populations, were solidly opposed. Understandably so, since the core risk in school district breakup is that urban neighborhoods assigned to smaller districts would be left with inferior schools – poorly funded, poorly staffed and left to cope with concentrations of disadvantaged kids. The panel’s report acknowledged concerns that dividing districts into smaller units “could decrease equality in buildings, programs and teacher quality.” To that could have been added that fragmenting a district such as Wake’s would likely exacerbate what already is a worrisome trend toward resegregation – a trend that has gathered steam despite Wake school leaders’ efforts to resist. No one should need reminding: The U.S. Supreme Court found that racially segregated schools were inherently unequal and thus unconstitutional. Brown vs. Board of Education targeted legally enforced segregation, but the de facto variety is also pernicious. The committee gave a close look to the mechanics of dividing a large school system, and they’re not trivial. For one thing, it would have to be determined whether, or how, local citizens would participate in the decision. To sketch North Carolina’s school district architecture, consider that it has 115 districts in 100 counties (down from 174 districts in 1957). New Jersey, by contrast, according to one recent count had 590 districts in 21 counties. North Carolina’s population is slightly larger; New Jersey’s population is far denser. The New Jersey pattern is typical of the highly urbanized Northeast, and newcomers from that region to North Carolina sometimes pine for schools that serve just their community. The urge is understandable for parents who want their kids to go to school close to home in the company of friends and neighbors. But a county, or a metropolitan area, can pay a high price if it allows its inner-city schools to become economically and racially segregated – a frequent outcome in places such as New Jersey. A larger, unified school system that functions organically, deploying its resources on behalf of all students no matter where they live, can go a long ways toward countering the ills of poverty while helping knit communities in a quest to excel. There are holdouts in North Carolina – places where old habits and preferences die hard, where counties are still divided into two or more separate school districts. What usually happens is that there are conspicuous winners and losers as districts are sorted by race and class. From the N.C. Council of Churches’ perspective, the interests of the state’s disadvantaged families and their children are a special concern. Rather than seeing our legislators and other education policy-makers spend more time and effort drilling into the dry hole of school district division, it’s fair to say the Council would rather have them make a serious push to eliminate these lingering, unfair disparities. Let them work to combine districts that remain separate rather than to tear apart districts that wisely have pulled together for the noble purpose of helping every child succeed. Steve Ford, former editorial page editor at Raleigh’s News & Observer, is now a Volunteer Program Associate at the North Carolina Council of Churches .